Infineon is outgrowing all other leading suppliers of automotive semiconductors in Japan, according to new research by Strategy Analytics. Infineon says this shows “strong growth in a strategically important market”. Traditional industrial robots tend to be very large and potentially dangerous, which is why they tend to be caged off and kept separate from human workers. 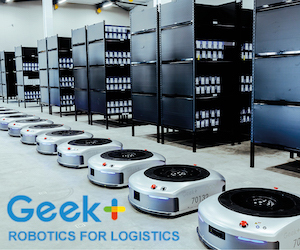 But a new company called Veo Robotics says it has the technology to transform traditional industrial robotic arms into safe machines that humans can work alongside, within close proximity. Creating computer games scenes is often a time-consuming job, and requires skills in 3D design applications as well as some coding knowledge. For a lot of humans, it can be a satisfying and rewarding job, with the average salary of a game designer of approximately $90,000. IP EXPO Manchester, co-located at Digital Transformation EXPO, opened for the second day with scam expert Alexis Conran, best known for his appearance in the TV programme Real Hustle. In his captivating keynote speech, Alexis took to the stage to engage the audience by using real-life examples showcasing just how easy it is to be a victim of a scam – no matter how secure you believe you are. Springer Nature has published its first machine-generated book in chemistry. The book prototype provides an overview of the latest research in the rapidly growing field of lithium-ion batteries. The company says the content is “a cross-corpus auto-summarization” of a large number of current research articles in this discipline. 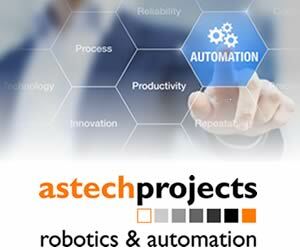 Running from 4-7 June 2019 Düsseldorf, Germany, the AI & Robotic Process Automation World Summit will showcase automation solutions to develop high-quality AI and robotic processing. Robotic process automation experts will come together to exchange knowledge, ideas and real-world strategies for the competitive automation industry. Logic Supply has released a new rugged and compact fanless industrial computer, the Karbon 300. The company says the new machine combines the latest vision processing, security protocols, wireless communication technologies, and cloud architectures. Tech giant Apple says its new iPad Air and iPad mini tablet computers “deliver dramatic power and capability”. Apple has introduced the “all-new” iPad Air in an ultra-thin 10.5-inch design, offering the latest innovations including Apple Pencil support and high-end performance at a “breakthrough price”.